They are small, winged insects similar to aphids, scales, and mealybugs. These insects typically feed on the underside of leaves with their “needle-like” mouthparts. Whiteflies can seriously injure host plants by sucking nutrients from the plant causing wilting, yellowing, stunting, leaf drop, or even death. There are more than three different species of whiteflies reported in South Florida. The Whitefly appears to have a very broad host range from palms to woody ornamentals and fruits. Thus far, it has been seen on gumbo limbo, black olive, copperleaf, broadleaf arrowhead, cocoplum, Brazilian pepper, live oak and mango. It has been reported on several palms which include areca palm and coconut. Additional hosts are likely to be added to this current list. 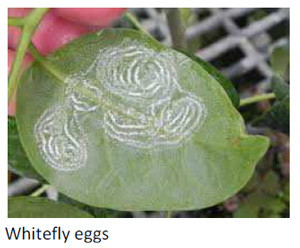 The female whitefly lays her eggs in a spiral pattern on the leaves and also deposits a white, waxy substance on the eggs. The most noticeable symptoms of an infestation of this whitefly is the abundance of the white, waxy material covering the leaves and excessive sooty mold. Like other similar insects, these whiteflies will produce “honeydew,” a sugary substance which causes the growth of sooty mold. A systemic insecticide can be applied by drenching the root system; however, it can take 4-6 weeks before results are visible. A second method of treatment involves injecting the chemical directly into the tree itself. This treatment is more direct and results will be visible within 7-10 days. 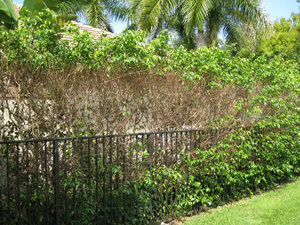 Monitor your trees and hedges for early signs of an infestation because it will be easier to manage the pest problem before it builds to high populations and causes major damage. What's going on in your attic? Why do you need to inspect and treat your attic and crawl space? Your attic is a major part of your home. It is a hot, dark humid environment. It's also a place we like to store or save certain items of value, sentimental or otherwise. 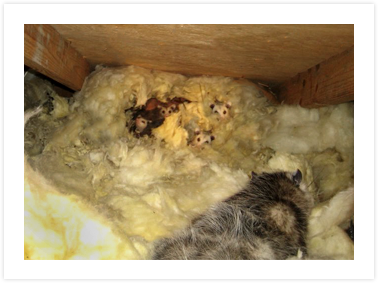 Our attics and crawl spaces are an ideal site for harboring and nesting every insect and rodent (including possums) prone to S. Florida, and believe me, over the last twenty years, I've met them all. Don't you want to know what's going on up there? Whether it's a bee nest, rodent droppings, air conditioning problems, mold, rotting beams or just a good ole fashioned roof leak, don't you want to know what's going on overhead? As far as pest control goes, we believe in "Preventive Medicine." Taking into account the climate in which we live, we found that an annual inspection and treatment of the attics and crawl spaces have been most effective for maintaining a safe and clean home environment. Not only does it help us maintain an insect-free home, our inspections have saved our customers thousands of dollars over the years.